Hello Quick Quotes friends! Marcia here today with some Club Q inspiration. 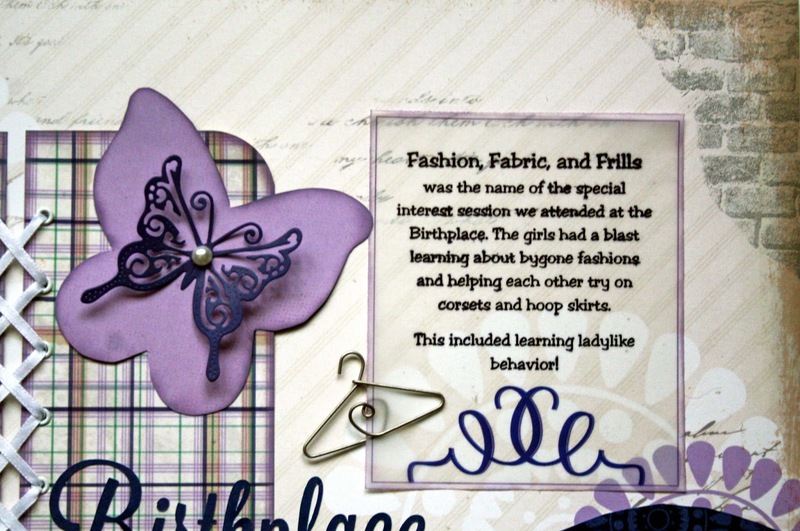 Quick Quotes is also partnering with Kiwi Lane Designs this month and my project today features some of their beautiful templates too. I love playing with the Club Q kits. 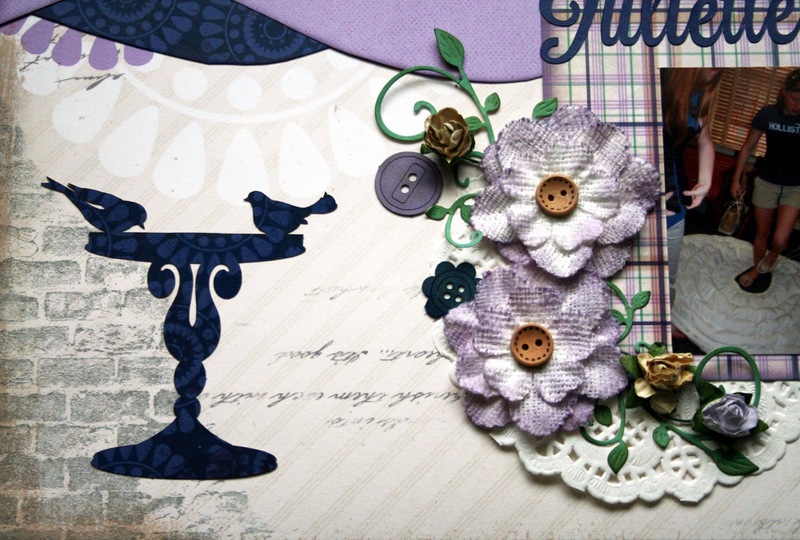 The March kit is full of gorgeous papers from the Dusty Roads collection., chipboard pieces, and die cuts. I was inspired to create this 2 page layout of one my Girl Scout troops visiting the Juliette Gordon Low Birthplace in Savannah, Georgia. Juliette Gordon Low is the founder of Girl Scouts. Yes, I was a fearless Girl Scout leader for 12 years! and not just for one troop but both of my daughter's troops! Boy, did we have some fun times!! 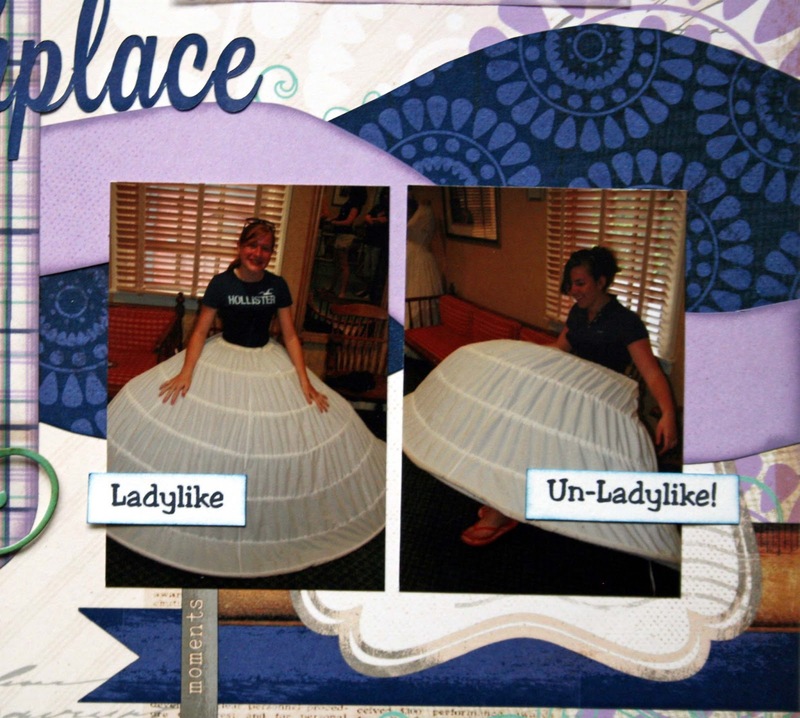 We attended a special interest session at the Birthplace where the girls learned about bygone fashions, tried on corsets and hoop skirts (which they absolutely loved doing), and learned to be proper ladies. This was my first time using the Kiwi Lane templates. 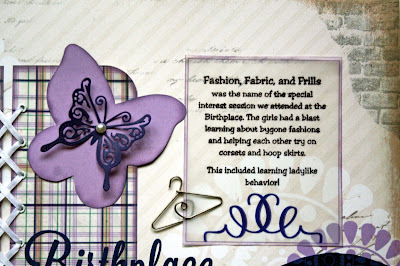 I used the Cascade Trails wavy templates to cut papers that help to emphasize my photos in the corners. The big butterfly is from the Nature templates. Isn't he fun! I used the all new "Coal Miner" PowderPuff Chalk Ink to stamp some bricks onto the paper to add some interest in the corners. You can also use your inks to give your flowers some color, like I did here. Here you can see how I used the templates up close. Oh yeah, my daughter, She's the unladylike one! lol. I hope this gives you some inspiration for your Club Q kits! Beautiful LO, looks like a fun memory. really like the "corset look". Loved you layout of Juliett's birthplace. Thank you for your dedication as a girl scout leader. I did the same for my daughter. Most fun I ever had! OMG! I love the pictures! And the KLD templates play perfectly with the LO! Fabulous layout Marcia and love the story behind the hoop skirt!! 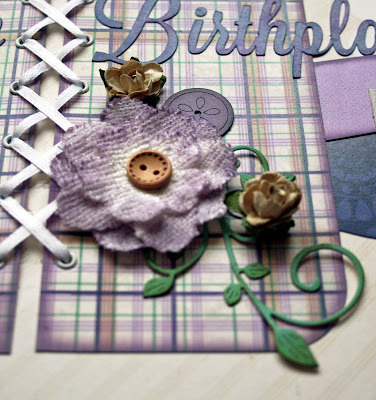 What a fun memory to scrapbook! I love your design and all the elements! These are such wonderful pages .. lots of great detail! Gorgeous layout!!! 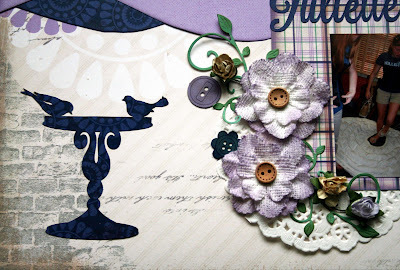 Love the colors you used and the overall layout - great design! Wow! This is beautiful! I love the lacing detail!